Jewellery Hut in Kamla Nagar has been the one place I head to when I need pretty nosepins, or new piercings. If you’re someone who has piercings, then you would know that the one thing that can’t be compromised while getting a piercing, is the cleanliness and hygiene of the place. And even if you find a place that satisfies these conditions, the chances that you’ll like something from their collection are really slim. 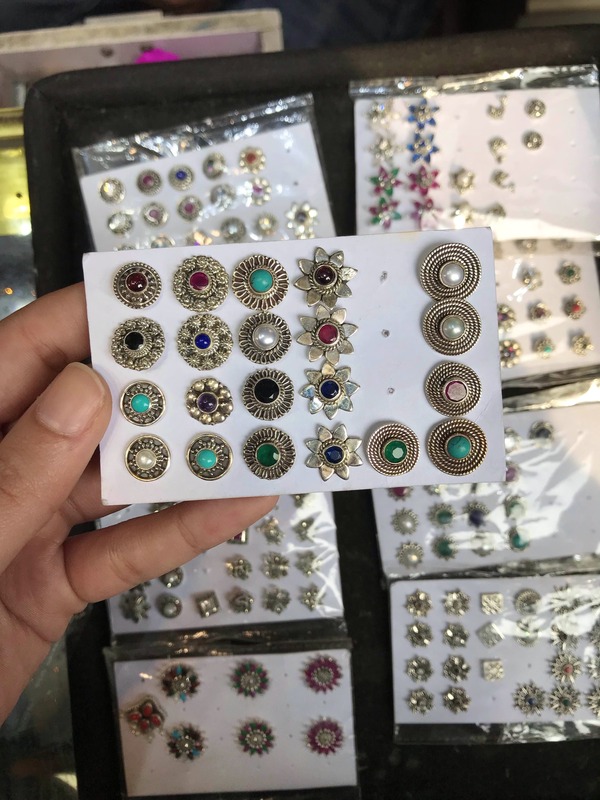 As someone who has a lot of piercings (read: 13), let me tell you this—almost all the fancy and famous places you’ve heard of, will rip you off. I got all 13 of my piercings done from this tiny store in Kamla Nagar that has never disappointed me. The owners are a very sweet couple who are willing to guide you through the process of choosing a suitable earring/nose ring/nose pin for you, and will also tell you how to take care of it to make sure it heals properly. They also only charge for the accessory that you’re purchasing, and add on no additional cost for doing the piercings. They have a really beautiful collection of nosepins and earrings. From oxidised silver, to coloured stones, they’ve got it all; that too in a number of sizes, so that they have something for every nose. As someone who gets bored of nosepins easily, I can say that there hasn’t been a single time I went to this shop and didn’t find something I like. They also keep oxidised silver earrings, rings, and bangles, so don’t forget to check those out, too. There's generally a bunch of people waiting here. So, be prepared to wait for at least fifteen minutes when you go. Also, everything in the store is silver, so if you’re expecting costume jewellery, you’ll be disappointed.